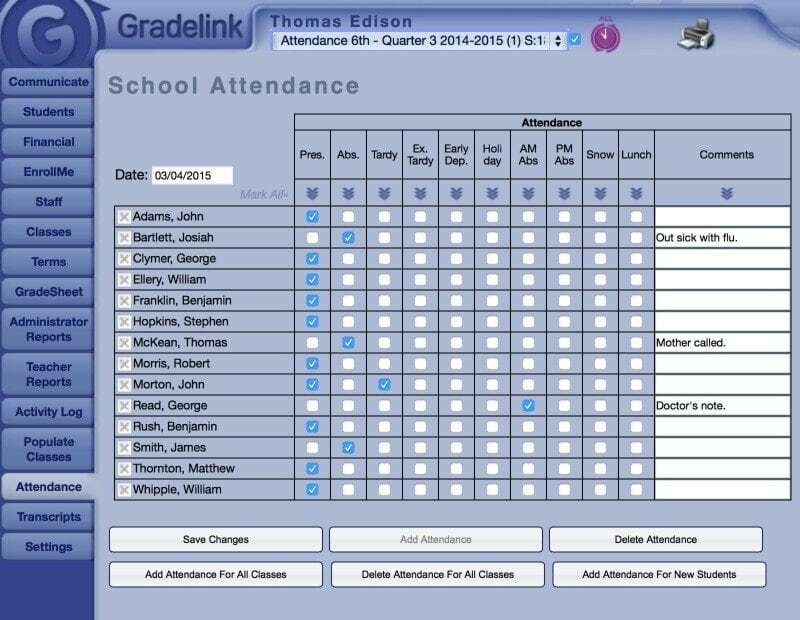 With Gradelink, instructors can take attendance in seconds, and their reports are available to other users immediately. Spend less time clicking and more time doing what you do best – educating. Work from anywhere with internet access, on your schedule. We’re here to help you each step of the way with personalized support. Instructors can take attendance in Gradelink in just seconds, and attendance reports are available to the school office instantly. 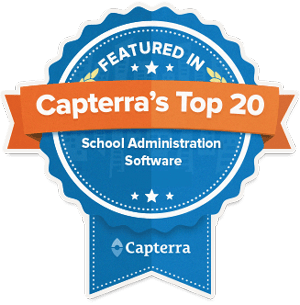 Principals and office staff can immediately see students marked tardy, absent, etc., and even make updates or corrections as necessary. Parents can register for instant email notifications of absences, tardies, medical absences and more. And with Preschool Sign-In, parents can check students in and out themselves. 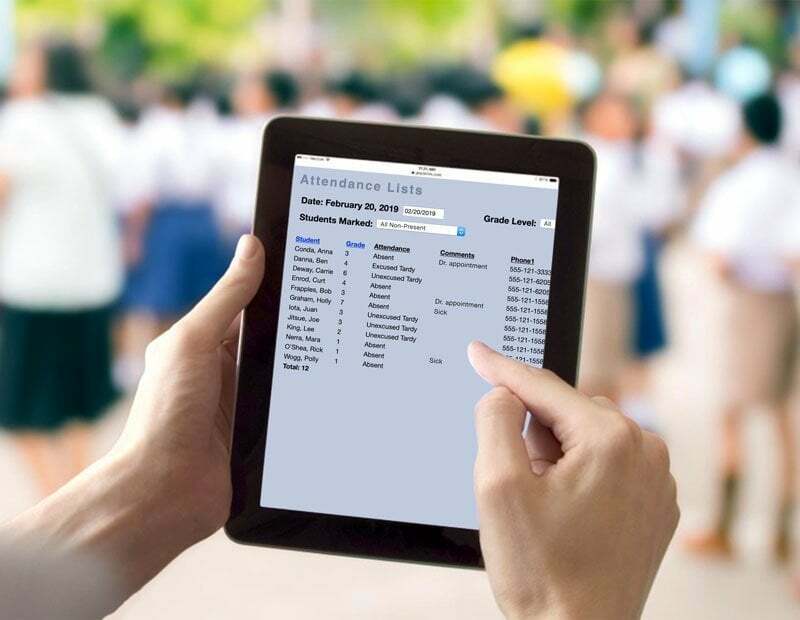 Daily attendance in Gradelink features commenting and tracking for up to 15 customizable attributes, including tardies, AM/PM absences, medical excuses, school holiday – even lunch count. 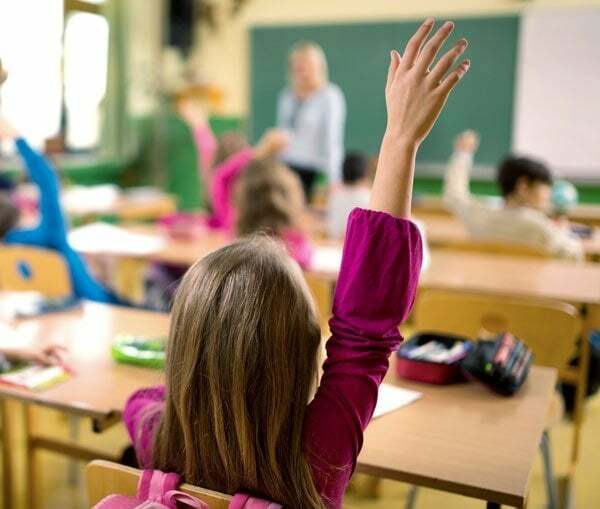 Class based attendance allows tracking for each subject during multiple periods throughout the day, along with an optional conduct grade. A whole host of attendance reports helps simplify your record keeping. Need a quick running total of present and absent for all students? Check. Want to print a detailed chart of student attendance throughout the term? Done. How about a list of all students with 3 tardies or more? It’s all here. Fast, accurate and secure, attendance tracking in Gradelink keeps everyone on track. Our school has always had all our information (attendance, family directory, student rosters, even report cards, etc.) in Excel spreadsheets or Word documents. Gradelink has changed all that and have everything housed in one program. Teachers love the grade books and the ease of taking attendance.